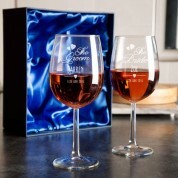 Treat the bride and groom with a wonderful keepsake of their big day, with our set of personalised wine glasses. 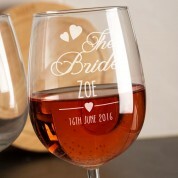 The classic designs are personalised individually for both him and her, and feature the bride and the groom sitting at the top in a scripted text. 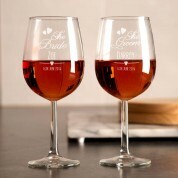 They each have the recipient's first name, and the date of the special day. 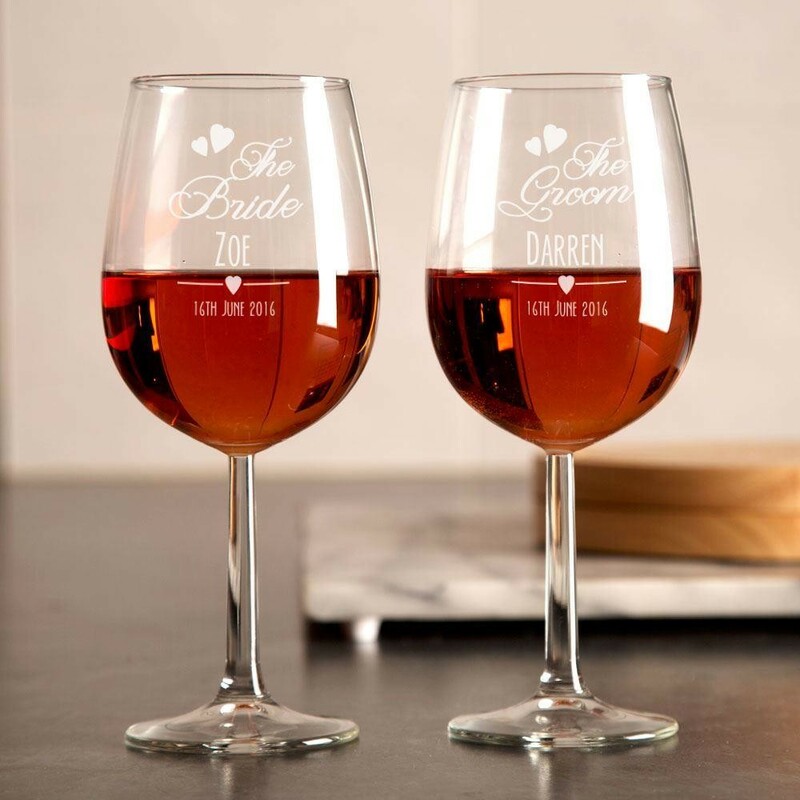 The wine glass set is a great wedding gift, which could even be given before the day itself – so they can have a calming glass of wine while getting ready.